This educational activity has been developed by Mechanisms in Medicine Inc. in collaboration with the WipeDiseases Foundation. YouAndColonoscopy.com com is an educational resource that provides easy-to-understand animations, slide shows, and videos to help patients, as well as their families and caregivers, learn about colonoscopy and how to prepare for one. This website is part of the Animated Patient™ series developed by Mechanisms in Medicine Inc., to provide highly visual formats of learning for patients to improve their understanding, make informed decisions, and partner with their health care professionals for optimal outcomes. For more information visit www.AnimatedPatient.com. YouAndColonoscopy.com has won the 3rd Annual SCOPY Award for Best Patient Education Website. 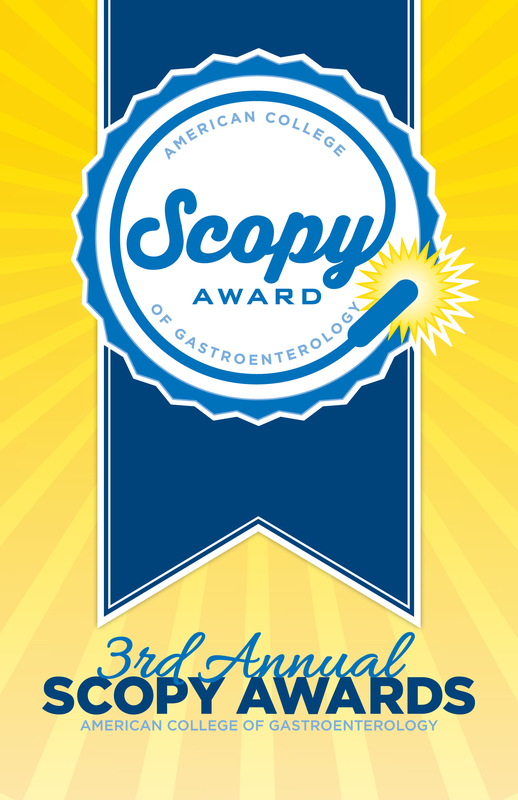 The American College of Gastroenterology (ACG) 3rd annual SCOPY Awards (Service Award for Colorectal Cancer Outreach, Prevention and Year-Round Excellence) recognizes the achievements of ACG members in their community engagement, education and awareness efforts for colorectal cancer prevention. Enhance communication between colonoscopy patients and their health care providers, by increasing patient understanding about what a colonoscopy is, how one is performed, why and when one may be necessary, and how to prepare for one. Explain concepts about colorectal cancer screening to patients – including what are polyps, why and how polyps are removed, the risk factors for developing colon cancer, concerns about safety and pain, and what circumstances can impact the number of times a colonoscopy needs to be performed. Empower patients through effective education on colonoscopy in order to be better partners with their health care providers, thereby promoting better dialogue between patients and their physicians to achieve improved health outcomes. The opinions expressed in this educational activity are those of the faculty and do not necessarily represent the views of the developers or the sponsors. The information presented in this activity is not meant to serve as a strict guideline for patients preparing for a colonoscopy. Any recommendations, procedures, medications, or other courses of diagnosis and treatment presented in this activity should be discussed with your doctor. This educational activity may contain discussion of published and/or investigational uses of agents that are not indicated by the FDA. Please refer to the official prescribing information for each product for discussion of approved indications, contraindications, and warnings. You and Colonoscopy is an internet-based educational program available on Mac and PC. Click here to view the complete Technical Requirements. This website was originally launched on December 15, 2016.